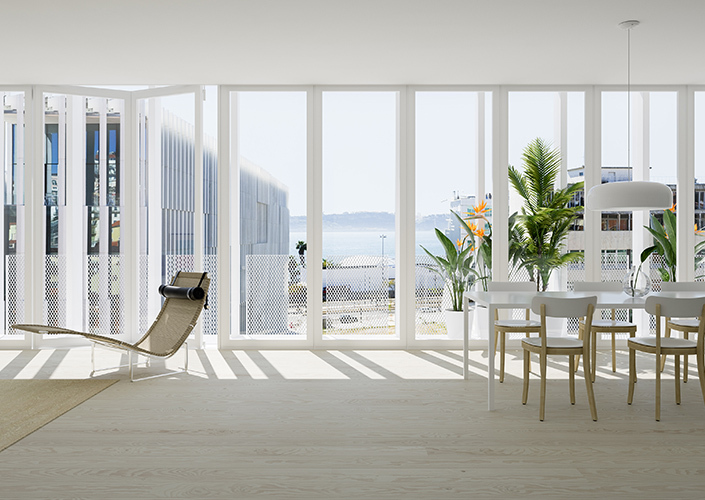 Brand New Luxury Apartments Located in Santos, minutes away from the Tagus River. This project spreads over 4 floors, which benefits from double height buildings, with gardens on each side of the building and rooftop gym. Close to the Time Out Market, close to transporation lines, this is an upcoming area that has a lot of room for growth. It's the home for artists, surronded by the nightlife of Lisbon.